She was the daughter of Dora (Gordon) and Jules Mandell and lived in Pittsburgh and Monroeville. She was pre-deceased by her husband Eugene, son Steven, and twin sister Ina Mae Moss. Gloria is survived by her children David (Hartford, CT); Michael (Pittsburgh) and Vincent Katz; and Amy (Murrysville) and Alan Pesarchick (Greensburg); by her brother Shepard William and Patty Mandell (Zelienople); granddaughter Coral Everlyn Jacobs (Denver) and her Sacramento nieces and nephews Frederick Moss, Stephanie Sands and Lynda Kirk. Gloria and Eugene raised their four children in Monroeville; they were founding members of Temple David in Monroeville where all of their children were B'nai Mitzvah and confirmed. Gloria worked in retail women's fashions off and on from the time she was a high school student at Schenley High and worked at Frank and Seders. In the mid-60s she worked in the new Monroeville Mall at Jaison's (where her mother was the long-time children's buyer in McKeesport) and continued in women's wear after Jaison's closed. In the late 80s she went to Blooms Florist in Pittsburgh where she ran the Station Square outlet; developed a holiday gift basket business serving individuals, families and corporations such as US Steel and the Steelers; worked circles around staff half her age in designing and setting up hundreds of weddings, B'nai Mitzvahs, and events such as the American Ireland Fund Gala and Medallion Ball; and started the one-week flower shops in downtown office buildings leading up to Valentine's Day, Secretaries' Day, and Christmas. The most joyful part of her years at Blooms was working alongside her daughter, Amy, and her son, Michael the founder and owner of the business. She loved visiting David in California, Rochester, and most recently Hartford, and taking trips to visit sites, especially the ocean. She never missed the Passover Seders where she got great joy from her many out-of-town friends and from her four great great nieces and nephews from Massachusetts. She played a mean game of Rummy Cube, planted a beautiful garden every year, and loved to collect paperweights (as long as they were signed). She was a lifelong poet and penned her expressions, feelings, observations and dreams. Services at Ralph Schugar Chapel, Inc., 5509 Centre Avenue, Shadyside on Sunday at 2 PM. Visitation one hour prior to services (1 - 2 PM). Interment Tree of Life Memorial Park. Shiva will be held at the Jacob's residence Sunday and Monday with Minyan at 7:30 PM. 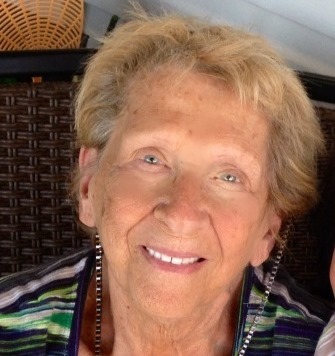 In lieu of flowers, donations may be made to the Gloria Belle Jacobs Fund at the Mandell Jewish Community Center, 335 Bloomfield Avenue, West Hartford, CT. 06117. www.schugar.com. Michael and Amy My condolences on the loss of your mom Gloria. She was always fun to be around at Blooms.